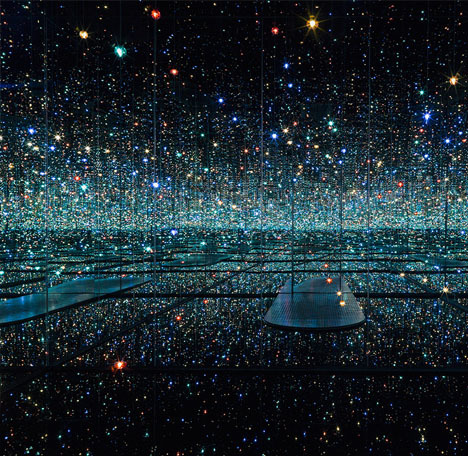 Cabins vanish into the landscape like a mirage, tiny rooms filled with stars somehow go on forever and treetops float in mid-air in these reality-distorting illusions made using mirrors. 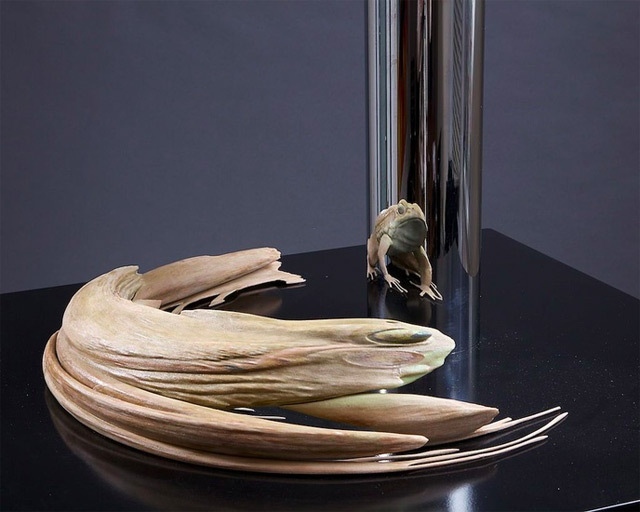 With these art installations and sculptures, nothing is quite what it seems, requiring the viewer to closely examine where the real world begins and ends. 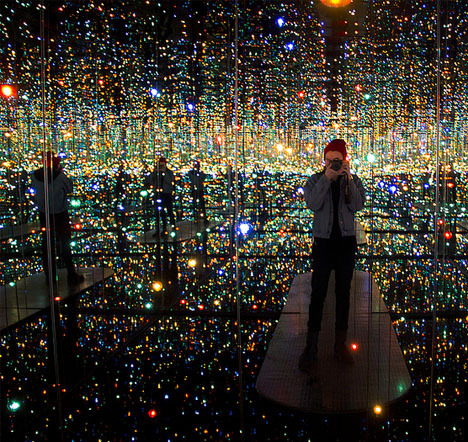 Visitors waited up to three hours for their turn inside Japanese artist Yayoi Kusama‘s exhibit ‘Infinity Mirrored Room – The Souls of Millions of Light Years Away.’ One hundred multicolored LED lights pulsate at various speeds and patterns inside an entirely reflective room to give it the feel of outer space. 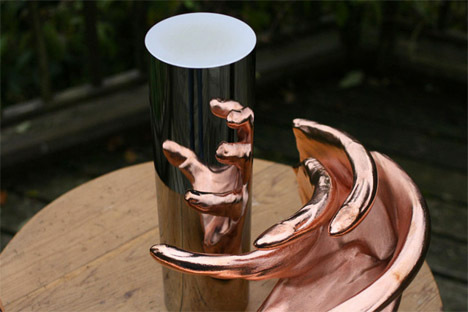 Strange, abstracted objects appear to have no particular form when you gaze upon them directly, but place them in front of a mirror at just the right angle, and you’ll see what they really are. 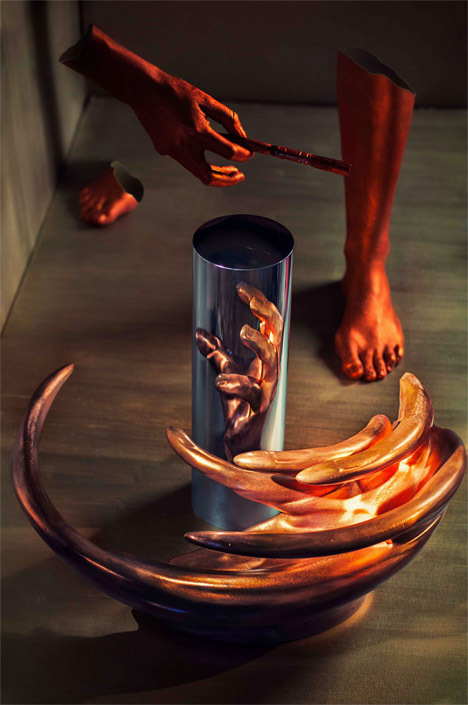 Artist Jonty Hurwitz scans animals and human body parts, distorts them digitally and fabricates them so that the original object is revealed when they’re placed in front of a cylindrical mirror. 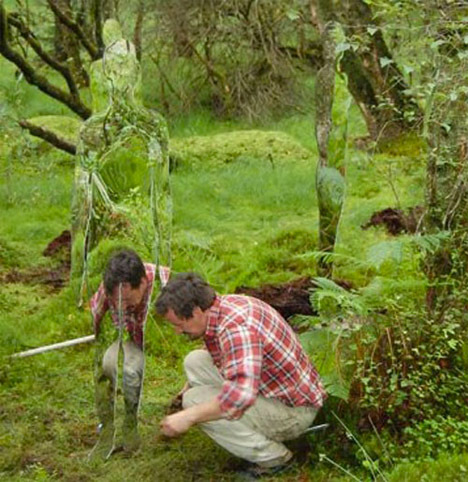 Translucent ghostly figures seem to lurk in the Scottish woods in this reflective illusion by artist Rob Mulholland. 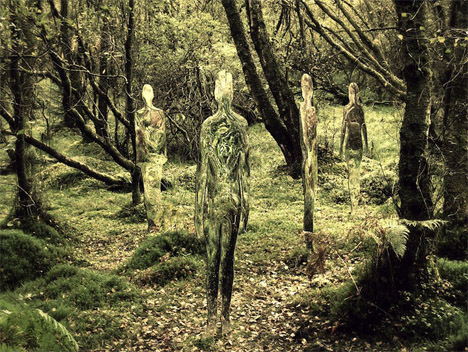 The fitters are actually silhouettes made of plexiglas, reflecting and distorting their surroundings so that they appear almost extra-dimensional. 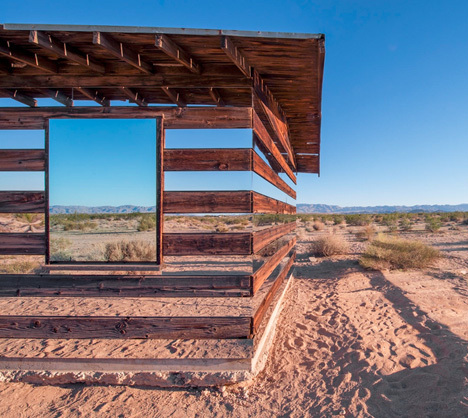 A wooden cabin in the desert seems to half-disappear into the sky and sand in this project by Phillip K Smith III. 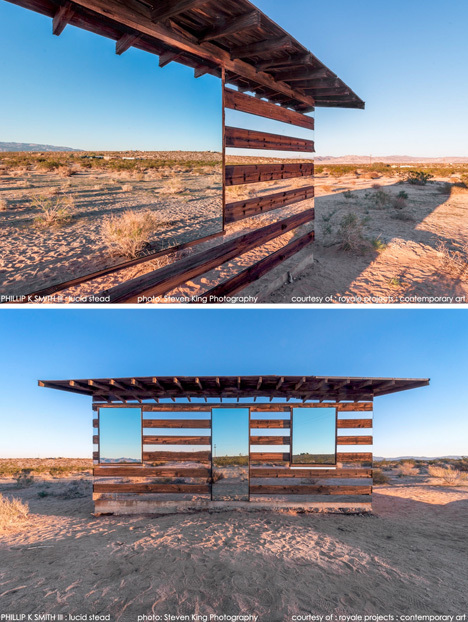 The abandoned structure was modified with mirrored panels that reflect the surroundings for a partial vanishing effect. The framed faux windows slowly light up at night, so the cabin alternately appears to be “like a mirage or a hallucination” depending on the time of day. 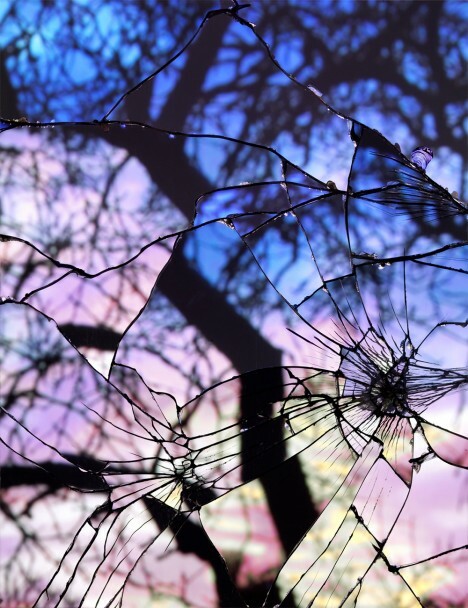 Look at the sunset in an entirely new way, through the shards of a broken mirror. 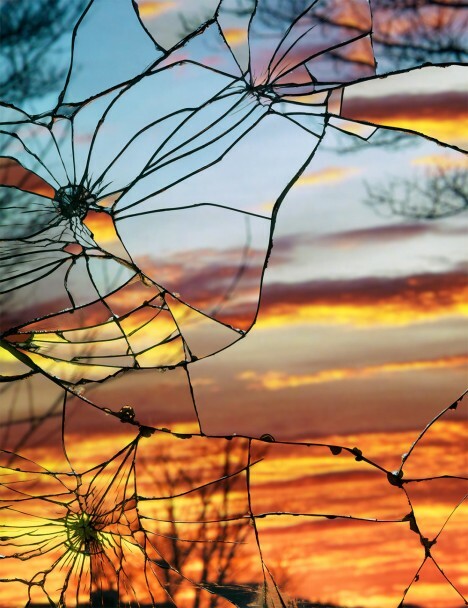 The ‘Broken Mirror/Evening Sky‘ photo series by Bing Wright breaks the sky into fragments, making each image like a puzzle.